Smalley by name but not in presence. In some ways, its personality is that of the brewery where a safe option would be to produce an approachable, low ABV beer to support responsibly-minded punters. However, Bright Tank’s love of hops quickly quashes that idea. 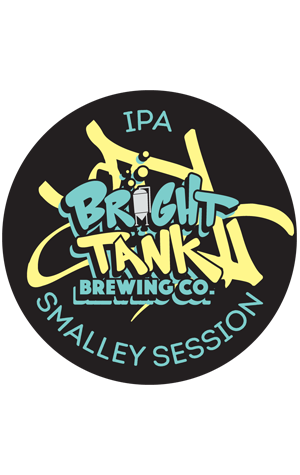 Instead, Smalley is a bold statement for its stature yet one which retains drinkability – it is, after all, a session beer despite generous Amarillo and Simcoe dry-hopping. Biscuity malts brings balance and a larger mouthfeel to the lower ABV beer, while soft citrus and melon dance atop the firm bitterness and veiled pine undercurrent towards the dry finish.